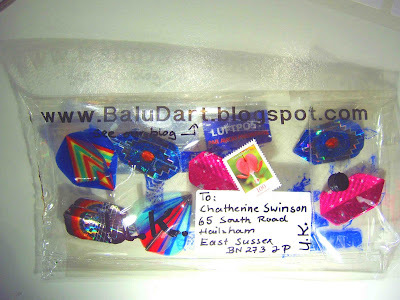 Balu d'Art: Outgoing Mail Art "flying plastic" to Catherine Swinson, UK for her mail art call "plastic". Hoping to get a Dart MailART back. Outgoing Mail Art "flying plastic" to Catherine Swinson, UK for her mail art call "plastic". Hoping to get a Dart MailART back.